October is a great time for travel because you get to take advantage of lower fares because of the offseason, and cooler, more comfortable weather. Plus, few things are more picturesque than visiting a city during autumn when all the leaves are turning colors (talk about a Kodak moment!). October is the “just right” month to visit Istanbul, when it’s not too hot or too cold. The rainy season hasn’t started yet, and the humidity has decreased to more comfortable levels. You can also check out the Istanbul coffee festival in early October, or the International Puppet Festival later on in the month. October is actually the beginning of springtime in Argentina, so you’ll enjoy warmer days, spring blooms, and lots of culture. Temperatures hover between 60 and 75 degrees, and although you can expect a few rain showers, there are plenty of indoor cultural activities for you to enjoy. Most of the tourists have left Croatia by October, which means the whole city is yours for the taking! Most people want to visit Dubrovnik, but Split is very similar and more authentic (not to mention less expensive), as it’s yet to be overrun with tourists. Barcelona is beautiful year-round, but in October temperatures hover around 70 degrees and there is little rainfall, which means, it’s still warm enough to spend the day at the beach and go dancing at night. 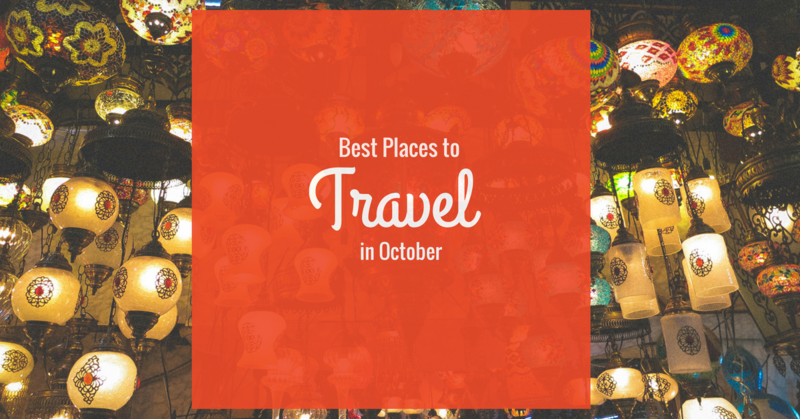 Where do you want to travel in October?